We are Calvary Chapel Blue Ridge. If you know anything about Calvary Chapel it's kind of a loose confederation of churches, not a denomination. 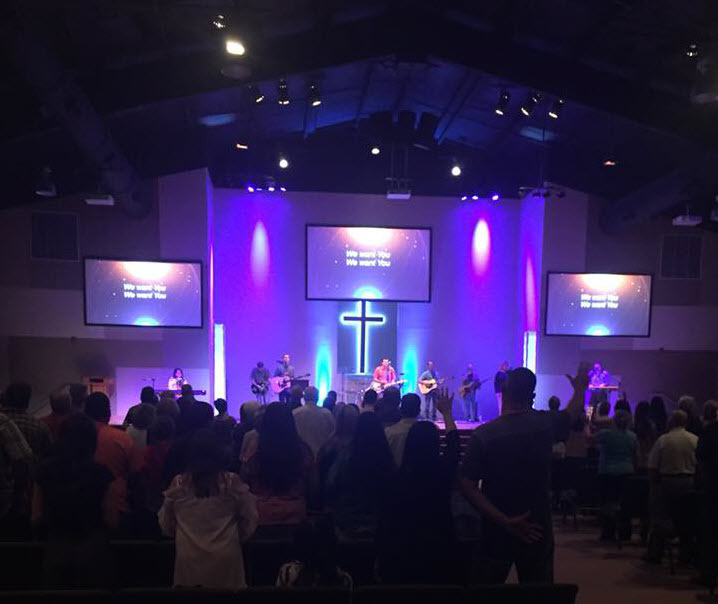 We started out as just a community church and then the pastor decided to go forward and join the Calvary Chapel Association. So, they planted in 2010 and last year and it was slow to grow at first, but last year we had an amazing opportunity to buy a facility that another church had lost. It's a 30,000 square foot facility on 21 acres. It's a blessing to have that kind of facility and so we moved in. The building is about 10 years old, so we've had to make some changes with wiring and the basic infrastructure of the building. It's been a lot of work but it's been fun and we're growing. We jumped up from about 80 to 150 people. We're trying to reach that magic 200 mark. You Recently Started Live Streaming and I'm Curious What The Inspiration for That Was? It was really the pastor's inspiration. He wanted to be able to take the sermons outside the church to reach people that wouldn't normally come to church or maybe people that are new to the area because this is a popular destination for retirees from Florida and different places. Also to get the word out about the church so people might check it out before they move here or retire here. We started out with a very basic streaming setup and it was problematic. Once we saw that it had potential and we wanted to pursue streaming, we went ahead and spent a little bit of money and got better cameras, gear, and a streaming platform to make things better. Once we got everything installed it's been a really smooth process. Can You Dive Into That a Little Deeper and Tell us About Your Technology Setup? 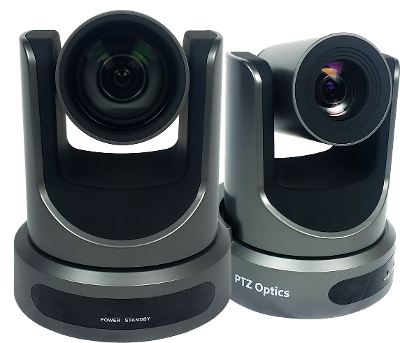 We have two PTZ 20x SDI cameras and one of those is a POE model. Then we have the PTZOptics joystick controller that we control them with. We have two 21-inch individual monitors for each camera so we can see what each camera is showing and a 55-inch. HDTV. And from there we feed into a black magic A.T.E.M. switcher. And from there we go into a box caster encoder. So, it's a pretty sweet setup. We haven't had any downtime or any problems since we got it up. The only problem we had was an internet problem in the building. Haven't missed a Sunday stream and it's a pretty smooth setup. 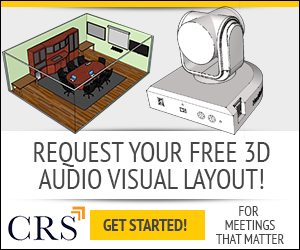 It's easy to train volunteers on because we only have two cameras so that's not real complicated. We're hoping to add a third camera which would be a fixed position, one of the Zcams. That's our hope within the next month or so. Yes, we did. My oldest son has a background in IT, so he's able to do all of our networking. You know the cameras, assign the IP addresses, and everything so we installed it all on a Saturday afternoon believes it or not it took us about maybe three to four hours to install it. So, it's pretty quick installed. 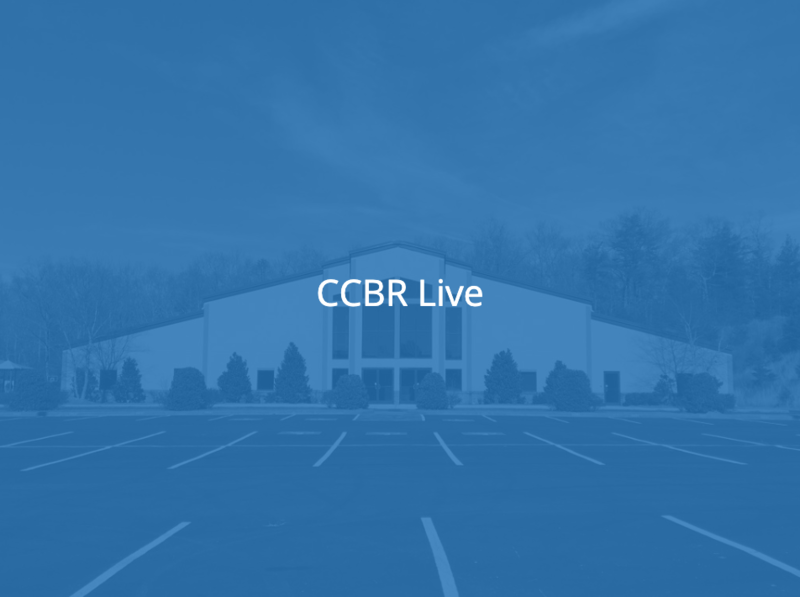 How has live streaming impacted your church? We have actually seen growth from it. We've had people that found us through the live stream. We actually have people that watch us that have never been here that watch us regularly and communicate with us through social media. So, it's been great in that aspect and it serves the purpose that we hoped that it would accomplish. It's just one of those things where I think in another few years it's going to almost be a necessity for churches to be able to live stream. We've had members that moved away and they can still stay as a part of the church, you know they still support the church and if they can watch the service and feel like they're still here on Sundays. And that's been a great thing too. Do you archive your content so that people could go back and see something if they did miss the livestream? We do. We leave the full services up for a couple of weeks and generally, we go back and cut the worship parts off after about two weeks, just cut it down to the sermon. So, the sermons are archived back a year or so. But we leave the current services to give everybody a chance to watch them. What advice would you give to other churches that might be looking to get into live streaming? 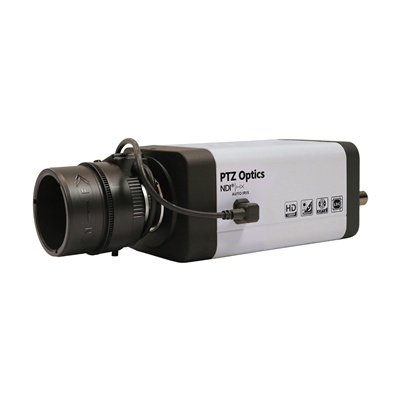 If I had any advice it would probably be to buy a system like PTZOptics that's plug and play where you won't have a bunch of compatibility issues. We started out by buying a small Prosumer camcorder and an encoder that was just more hassle than money saved.It seems like if you buy a plug and play system that's designed to work together then it's just an easier install and you get a better product in the end. Sometimes you can waste money on things that you don't need or don't know just out of ignorance because you don't really know what you're doing. I there's anything else that you would like to add anything we missed? I don't believe so. For the money I think PTZ optics are great cameras. They're probably the best bang for the buck that's out there. I've noticed that a lot of new features I like the new cams come with NDI already installed so which is a great feature.